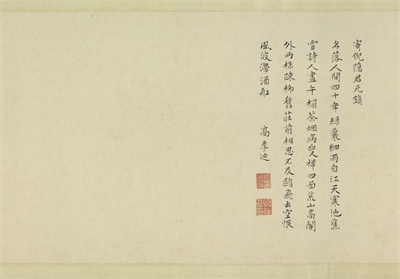 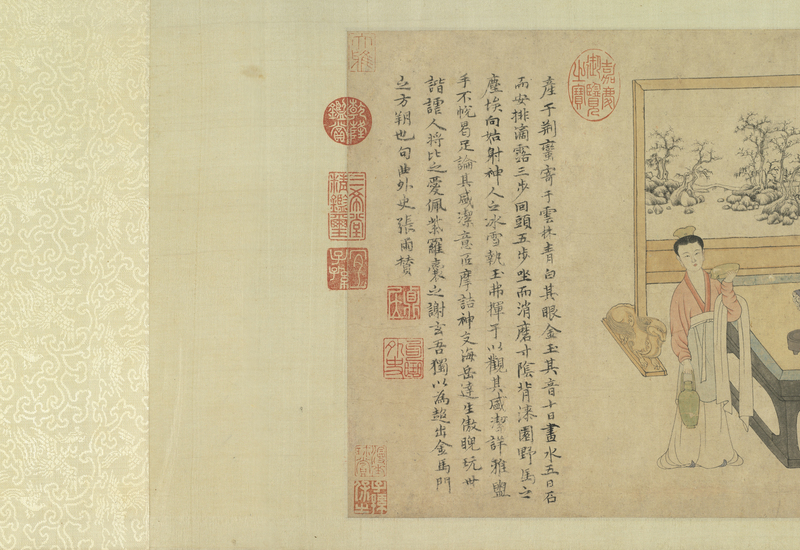 According to the inscription by Zhang Yu at the left side, the main figure in this scroll is none other than Ni Zan (1301-1374), one of the Four Yuan Masters of painting. 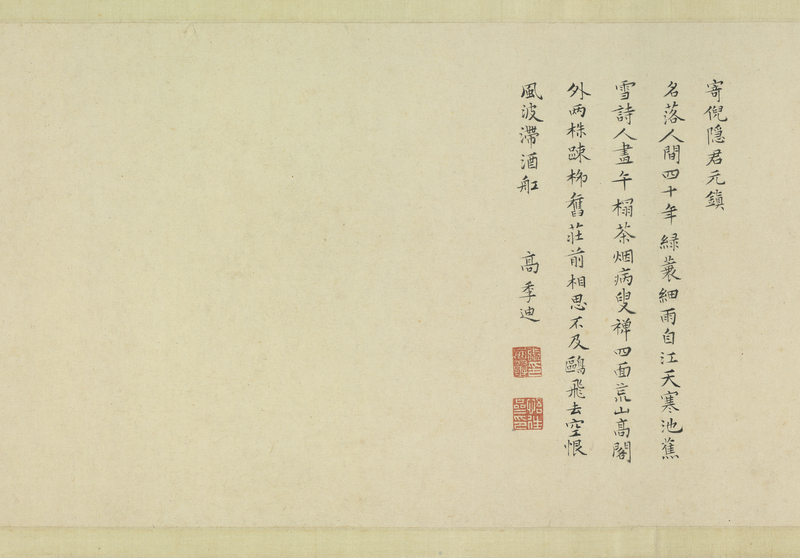 The landscape on the screen behind is also intentionally done in imitation of Ni's style. 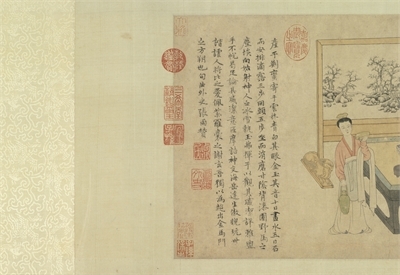 The pose of the figure is also borrowed from that of Vimalakirti in Buddhist painting, transforming the image of Ni Zan into that of a refined and lofty recluse. 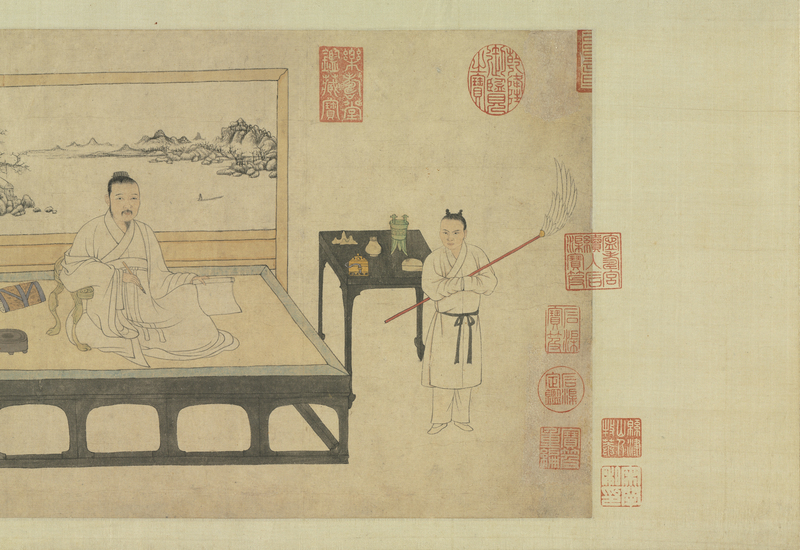 The painting with intentional pale colors depicts Ni Zan with brush and paper, as if about to pour out his heart. By Ni's side is an attendant holding a flywhisk, water vessel, and washbasin in an apparent reference to his fastidious cleanliness. 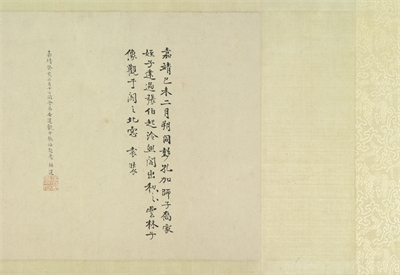 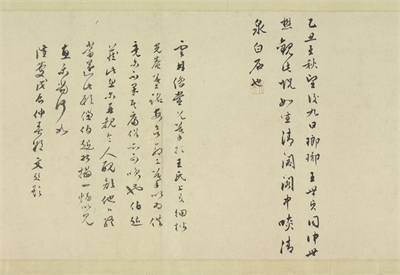 Zhang Yu, a close friend of Ni Zan, here wrote an inscription of praise, part of which reads: "Gazing askance at the fullness of life, he takes the world lightly with a sense of humor." 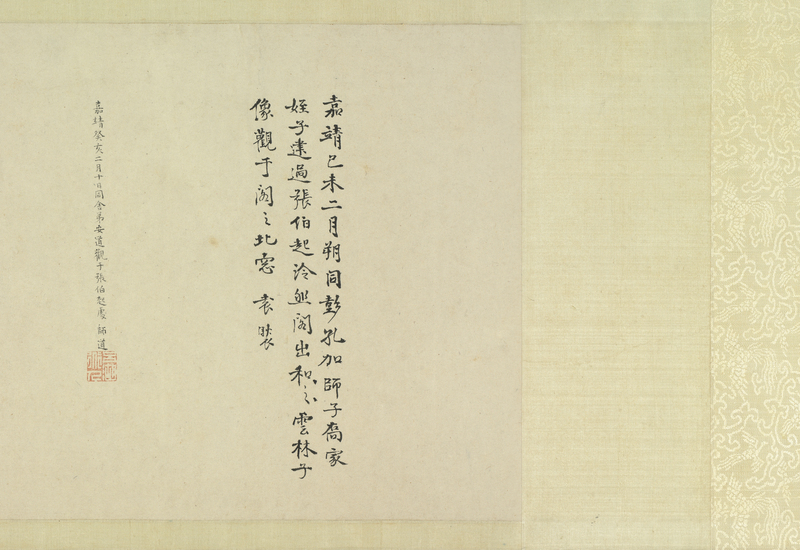 Outer appearance revealing the inner spirit is exactly what the portrait attempts to achieve. 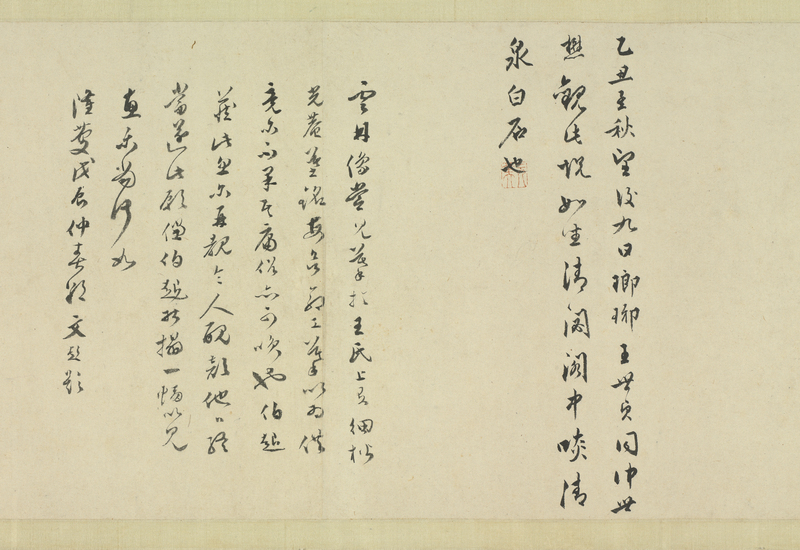 This scroll reflects an important friendship in Chinese painting and the development of literati portraiture, having great period significance and artistic quality as well.